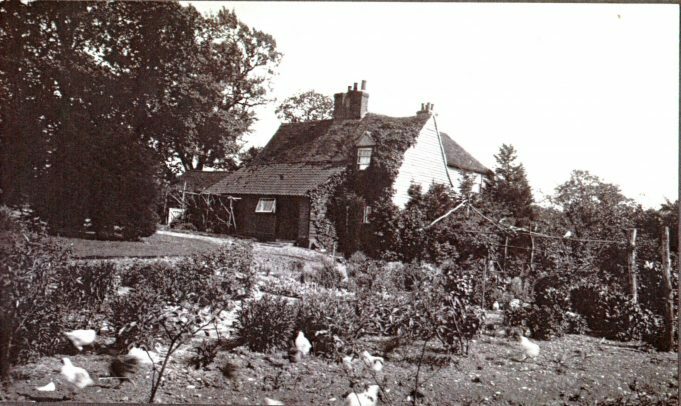 Wick Farm, sometimes simply called the Wick, was built in the 17th Century. It was a Manor in its own right until it was bought by the owner of Wickford Hall Manor making it the largest farm in Wickford. Over the years it changed hands many times and along with many other early farm houses it should have had a preservation order on it. By the 1950s some buildings in the area were recognised and listed. Wick Farm was not one of the lucky ones. In the late 1960s it was empty and beginning to be run down. Vandals used it as a meeting place, destroying some of it and it was boarded up with corrugated iron sheets. In the early 1970s Mr Brian Bassett lead the fight to preserve it and turn it into a pub, library or Community Centre. 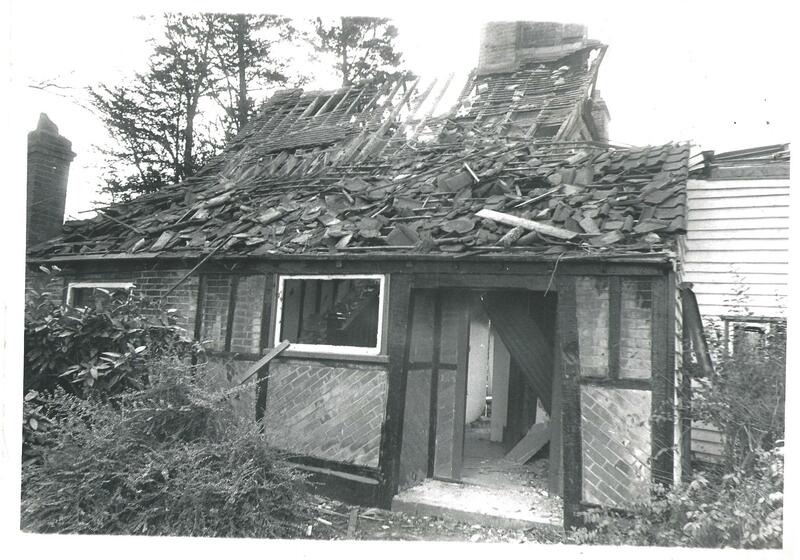 On the 1st February 1974 there was a big fire in the house causing the roofs to collapse and destroying the interior fittings. The owners, Carter and Ward of Wickford, said the building was beyond repair and had applied for permission to build a new housing estate there. In late April 2018, Les came back with another comment. “After discussing the dates with relations yesterday, it is likely that the farm may have been lived in up until about 1972! I have been looking for photos of this farm for a long time. 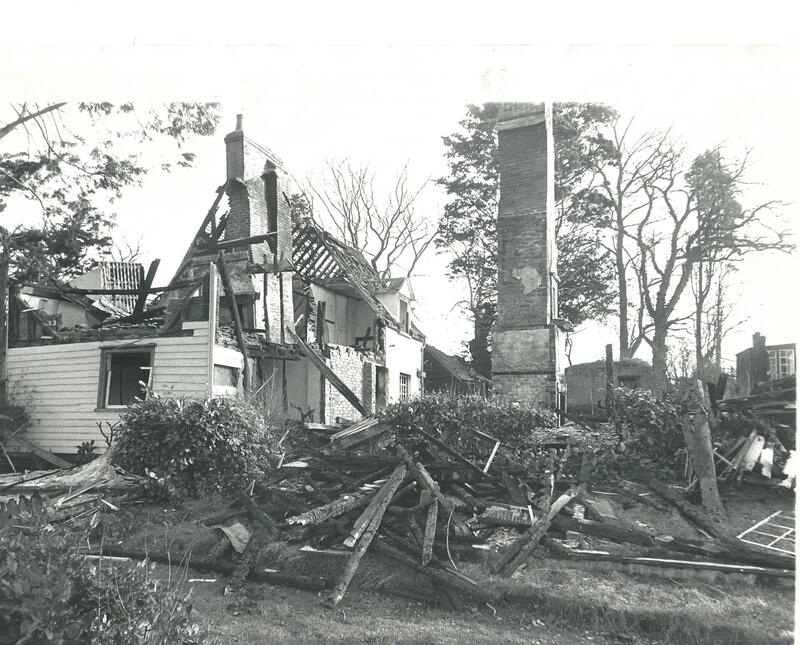 My wife’s Aunts and Uncles lived at Wick Farm from at least 1939 until 1972. They were on the farm on the Electoral Register in 1939 and when they died the Probate Register shows all three were formerly residing at Wick Farm, Wickford. Ethel Millicent Nelson, died 1949. My wife visited the farm from about 1958 to 1963 and recalls that there was a pond at the front and a ‘mad goose’ named Joey! Harry Skeggs (1924 - 2017) - one of the first British troops to enter Bergen-Belsen, in April 1945. 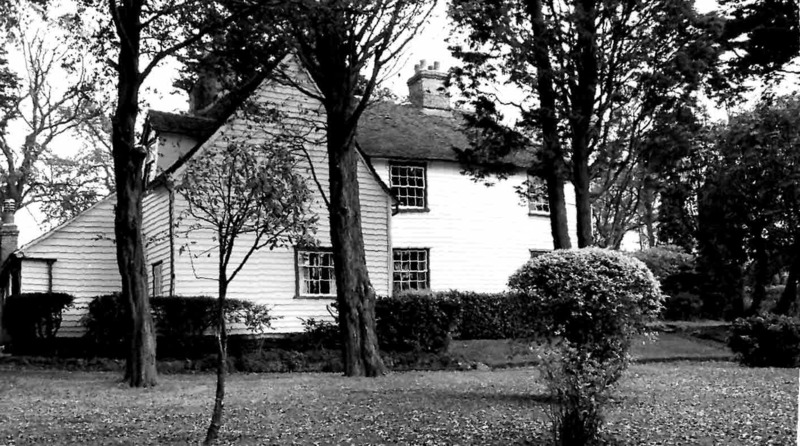 My Wickford Memories from 1940. Opening of the new Key Markets store in 1981. The Vanished Giants of Wickford. Wickford Markets in the 1980s. Wickford Women's Institute Celebrates 100 years.